How do Artists Come up with Ideas for Their Artwork? The answer to this question will be different for every single artist. Everyone finds inspiration in a completely different way, in contrasting places. Since I can’t provide an answer for every single person out there, I can give advice about how to alert yourself to seeing possible ideas. Essentially everything in the world has the potential to turn into an idea for art. What seems dull and boring to one person could be infinitely fascinating for another, and vice versa. If that’s the case then, where do you start? Start with yourself and your own personal experiences. Many artists think that they have to search extremely far and wide and come up with an immensely complicated subject for their work to be interesting. I’m frequently surprised that the best subject matter is simply what’s sitting there right in front of us, something that we commonly experience but don’t generally recognize as being special. Don’t take any experience in your life for granted. In my opinion, the most effective ideas are the ones that are personally driven, as they will have an authentic quality to them that cannot be achieved in any other way. The student who did the charcoal drawing to the right really struggled with his initial idea, which is common for many artists. It’s a rare occasion that ideas come to you quickly, so don’t worry if feels like you are scraping and scrounging for an idea. At first, this student was considering six levels of paint in terms of being a college student, but after thinking about it for a few days, realized that he thought the idea lacked the depth he was looking for. Eventually, he showed up after a few days, ecstatic that he had an idea to show major corporations, like Walmart and Facebook. 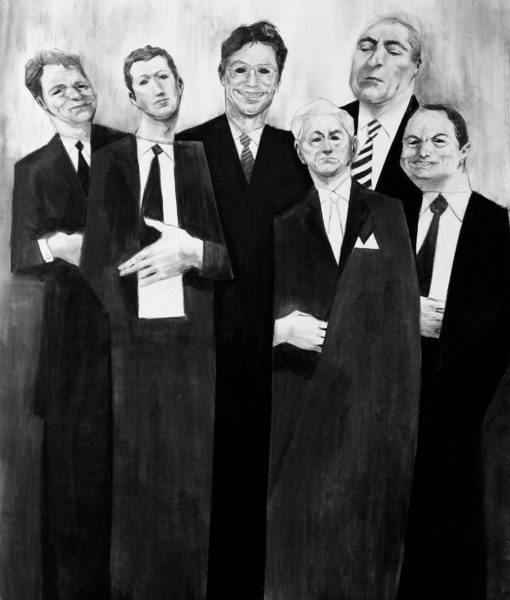 The charcoal drawing was a portrait of the CEOs of these corporations, some of who had devilish expressions on their faces. The reason this student was able to arrive at this idea is that he kept pushing, even when the ideas felt like they were going nowhere. Many people give up too soon, and end up settling on an idea that is cliche and boring. Some of the best projects in my drawing courses are ones that come from personally driven ideas. I have an assignment I give every semester called “Six Levels of Pain”, in which students are asked to create a project that provides a new visual interpretation of the Wong-Baker pain chart. The range of projects is astounding: some are heartbreaking, others are beautiful, and some are even humorous. The above drawing was created by a student who had kidney surgery. He used a format reminiscent of graphic novels to put together a narrative of images based on his experience with the surgery. The final charcoal drawing was haunting, mysterious, and suggesting. Yet at the same time, the drawing provided enough visual details for the viewer to understand what the drawing was fundamentally about. The student who created the charcoal drawing above struggled when her family immigrated to Vancouver. 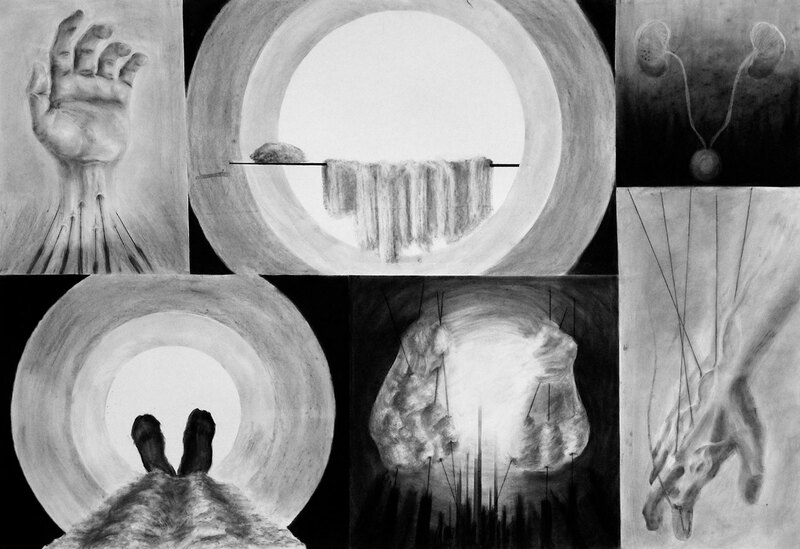 She drew the landscape of Vancouver as the environment for her narrative took place. 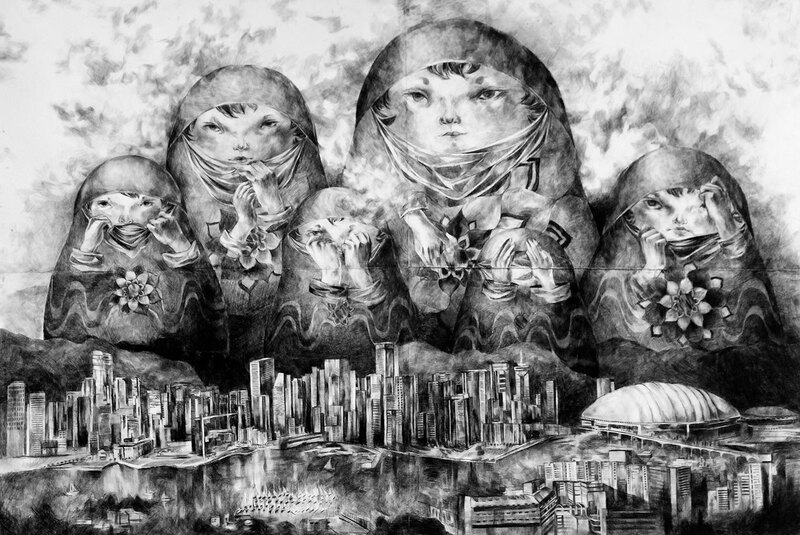 The Russian nesting dolls, looming above the city represented the various degrees of shyness she experienced while trying to fit into a foreign environment. The nesting dolls were an effective way for her to create a metaphor for her experience. The drawing tutorial and linoleum block tutorials below walk you through every step of the brainstorming process all the way through to the finished artwork. In this way, you can see how one idea leads to another, eventually coming out with a fully fleshed out concept for the artwork. 0 responses on "How do Artists Come up with Ideas for Their Artwork?"